I had a hard time getting into this book but definitely had to read until the end. Karen works in a salon and hears the secrets of the girls and women she works with. 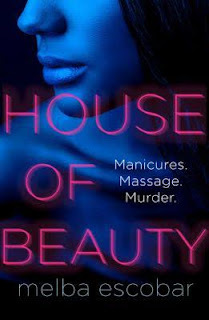 When Sabrina, one of the girls is found dead after being seen at House of Beauty, her mom and the police want to know what she knows. I found myself not able to follow who was speaking. Is it Claire, Lucia or Karen speaking, oh wait...it's not Karen. I thought it was Karen...ugh. Those are done in 3rd person chapters with Karen talking about Sabrina and Sabrina's the mom...I wish there was more to the story about the murder and why. Maybe it is a translation problem or maybe the writing. It is not for me to say but being able to follow the characters is rather important to the reader.